Kohl Children’s Museum has popped back up in Waukegan. 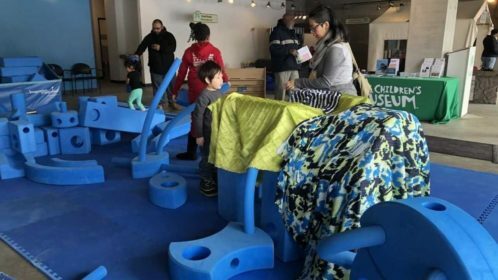 A Chicago Tribune article, “We will keep coming back every year: Kohl Children’s Museum returns to Waukegan” features the museum’s recent return to the Urban Edge Gallery in downtown Waukegan. GFF’s grant to Kohl Children’s Museum is helping make the pop-up possible in Waukegan and Round Lake Beach this spring.